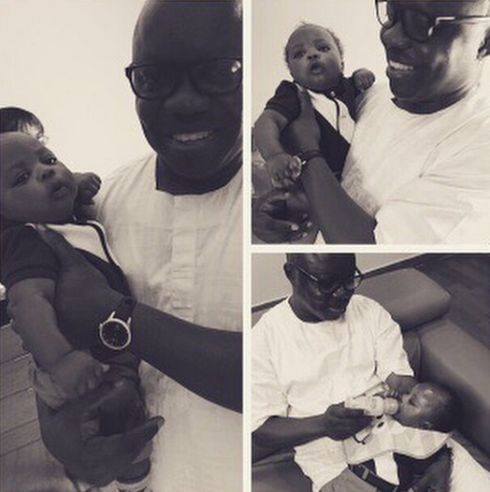 Former Delta state governor Emmanuel Uduaghan pictured feeding his grandson. The child's mother is his first daughter, Orode Uduaghan Okpu. Cute!